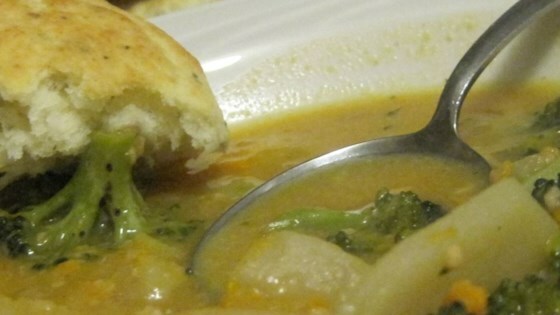 "This is a great soup for using up yesterday's leftovers. Try making my 'Really Good Scalloped Potatoes' recipe, then whip up this soup with the leftovers. A very versatile and easy recipe, add, omit, experiment! Serve with crusty buttered bread." THIS SOUP IS REALLY GOOD. IT IS A GOOD WAY TO USE UP THE LEFTOVER POTATOES. IT IS REALLY CREAMY, AND WAS A REAL HIT.